I needed to get a SCCM 2012 lab setup for my company. As this was a newer MS product I figured the install wouldn’t be that bad. Well it’s a pre-req / pre-configure nightmare. Here is my loose and possibly incorrect way that I got a lab running. CU4 or greater is required! Note MS did a awful job on making search engines find the right CU4/5 for SP1 of R2. 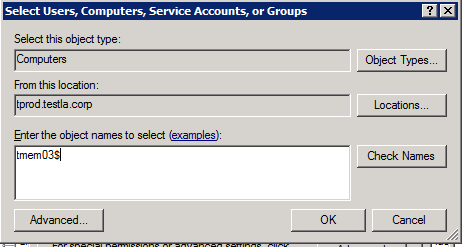 Add the Machine account for the CAS server to the local admin’s group of your SQL server (only needed if installing on dedicated SQL Server). 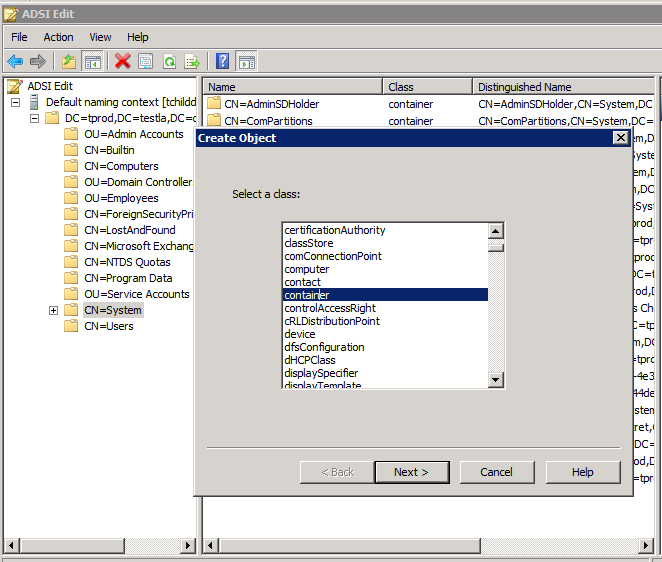 Simply check off “Remote Differential Compression” under features in Server Manager. Self resolved after installing items 1 and 3 on this list. 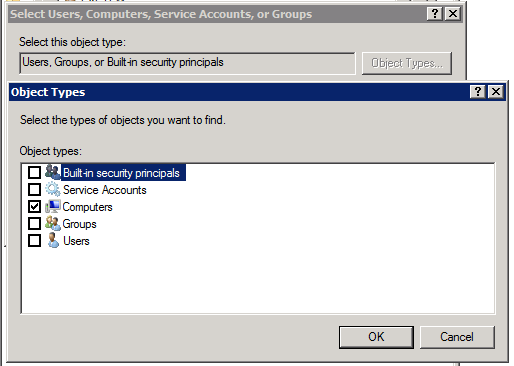 <04-10-2012 13:26:53> Successfully extended the Active Directory schema. Get ready for this one…. Click OK three times to exit pop up windows. It wants me to set a max limit on memory, I resolved this warning by setting the limit to 2GB (out of 4GB in my lab). It tells me Configuration Manager 2012 REQUIRES that I set a minimum of 8GB for CMS and Primary sites (4GB for Secondary). I am just going to ignore it as it’s a “warning” and not a error. 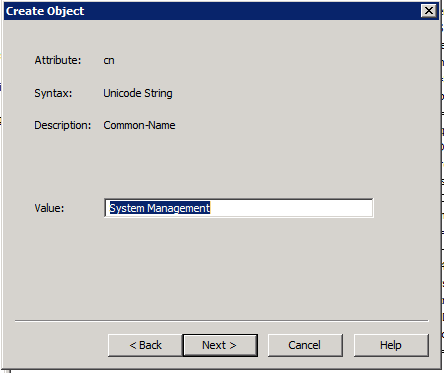 Left the SMS Provider on the box I am going to install SCCM to. I was debating if I should install directly to SQL or not. I think that I will just wait for my production machine and then just for from there. Glad I could help, also check out the virtual labs here: https://cmg.vlabcenter.com/default.aspx?moduleid=a9e7edc4-3ad5-485b-ae41-896016cd1e22 You will be able to kick the tires without needing to build it yourself. Its free from Microsoft. Yo dude are you from Montclair, NJ??? Your name rings a bell. Do you have an older sister she’s a yr or two older than you??? 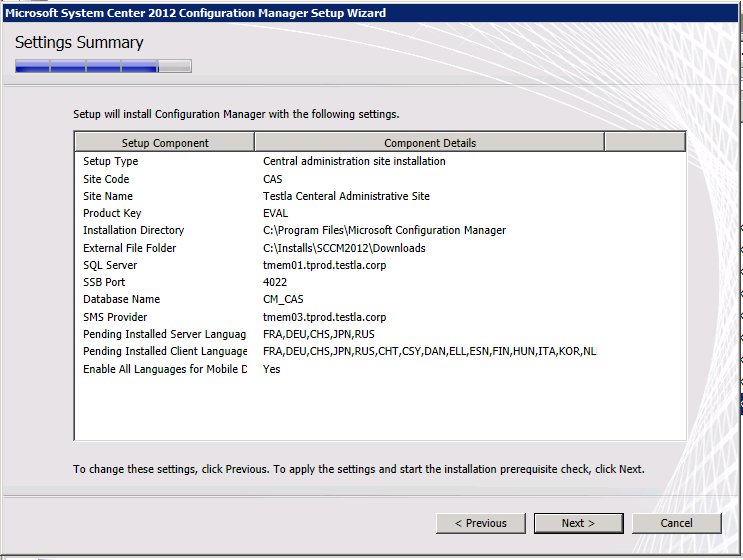 Would you be able to post a how-to guide for SCCM 2012 for a single server setup? I have a dedicated physical server running Windows 2008 R2 Enterprise, a Quad Core Processor, 24GB RAM and plenty of storage (I have a shelf of disks on top of whats already in the box). I think I may have to format c and start again with my current server because I cannot get all of the components of the operations server to install (web console or reporting), plus there is other quirky things that seem to be appearing in the console that just don’t make sense (whacky error messages). THANK YOU! This is VERY helpful! Microsoft made the whole process a major pain in the you-know-what!!!! Thank you for sharing your knowledge with us. It is most appreciated. As FYI, I was also able to successfully install SCCM 2012 on Windows 2012 RC and SQL 2008 R2 on Windows 2008 R2 following your steps. I’m no longer positive whether or not this publish is written by him as no one else realize such detailed approximately my trouble. You’re wonderful! Thank you so much for this post! Helped a bunch in my test lab set up 🙂 Really appreciate your work!